Keenan Cornelius has once again proven that he is one of the dominant players in the game. 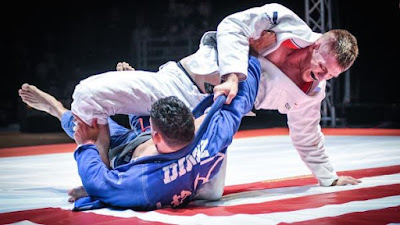 Keenan took on Matheus Diniz in a super fight for Five Grappling’s Lightweight Pro Invitational. The two went into overtime tied. Keenan kept Deniz at bay in his spider guard. He almost swept, but couldn’t quite get it. The match ended with Deniz in guard. Keenan’s ability to dictate the pace of the match certain earned him the win. When the dust settled, Cornelius was given the unanimous decision victory.